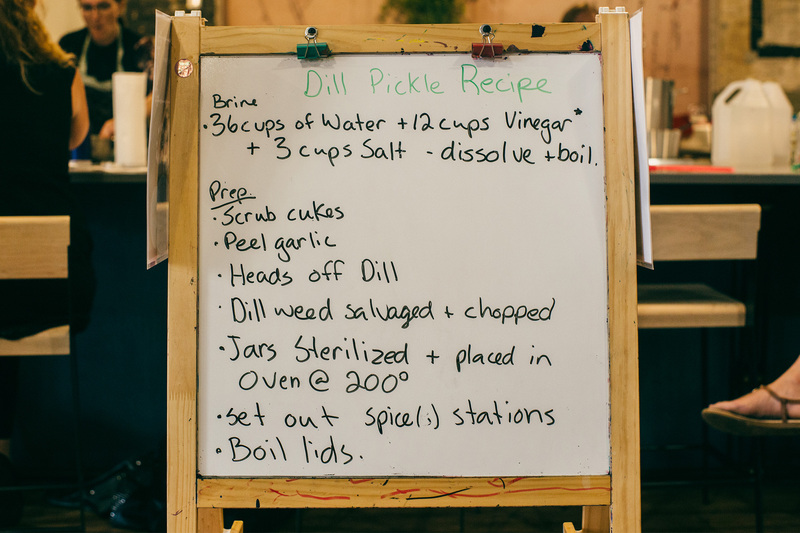 Last week the local Women’s Institute (WI) members christened their relationship to the Wincey Mills test kitchen with a healthy dose of dill pickling. 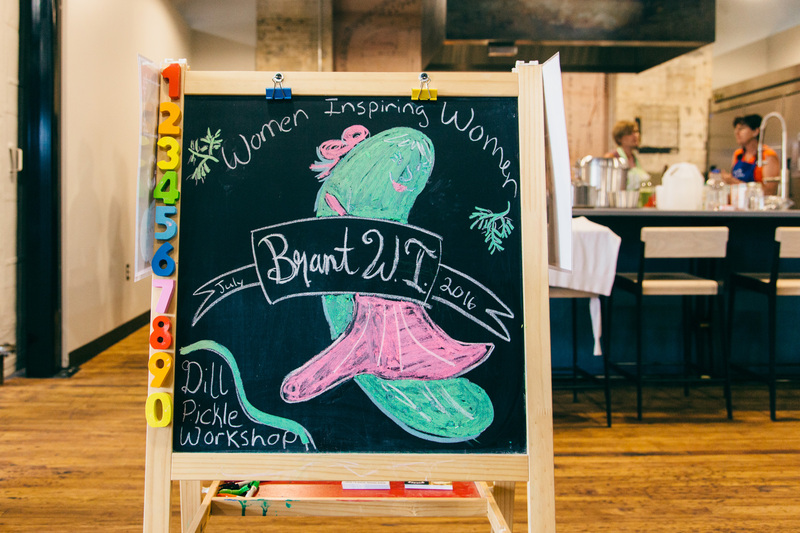 We volunteered to design the dill jar labels – an opportunity to practice our illustration skills – then tagged along to see what the ladies got up to. 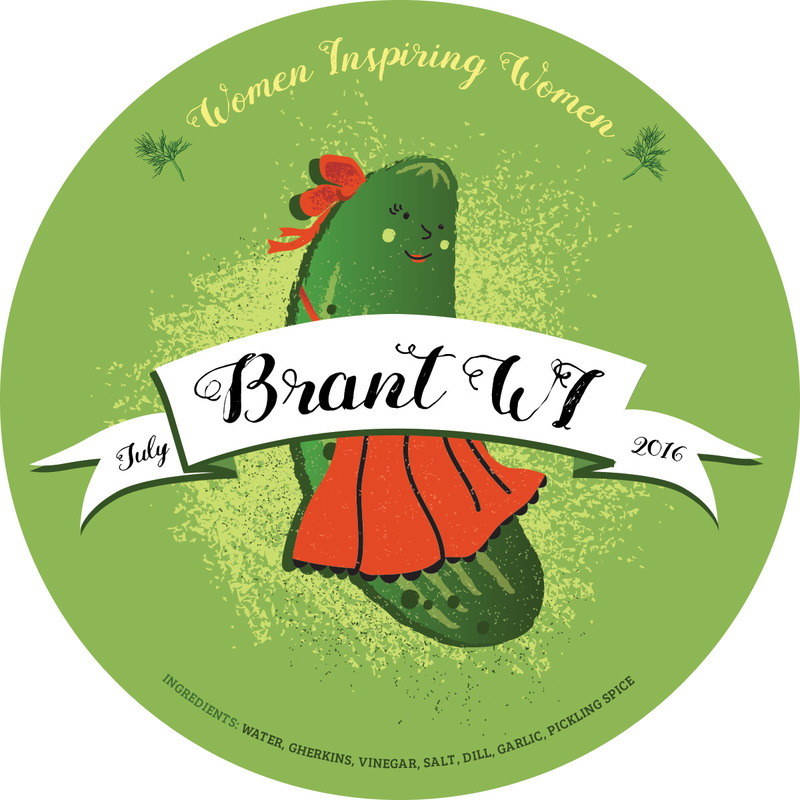 The Brant County WI, named ‘Women Inspiring Women’, came to life around the time we started up Paris Lectures. 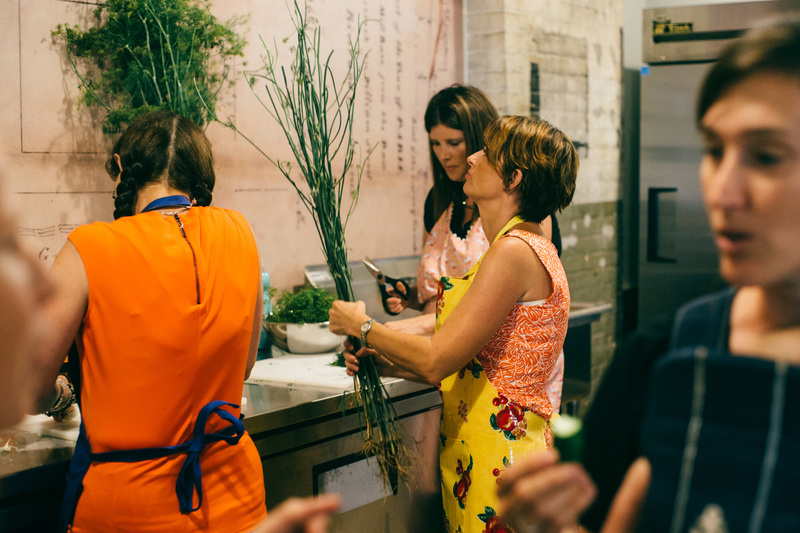 Cass attended the kickoff last year in the Arlington bar cellar which was packed to the brim with women of all ages, tonnes of excitement and chatter about what this group could be. Clearly there was a need for a group of its kind and the WI was the perfect fit; an international organization with 9 million “ballsy, brilliant” members worldwide, the WI happens to have been founded by a local historic figure and all-around lady badass, Adelaide Hunter Hoodless. 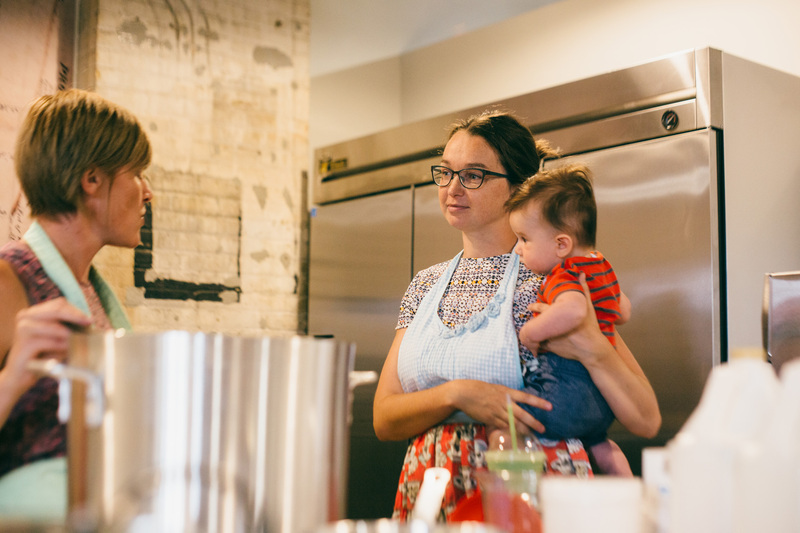 Because we were so busy at the time, it took Cass a full year to commit to a membership but now she’s into it up to her knees, attending meetings with the newborn and gathering weekly with the subgroup of other mama members. 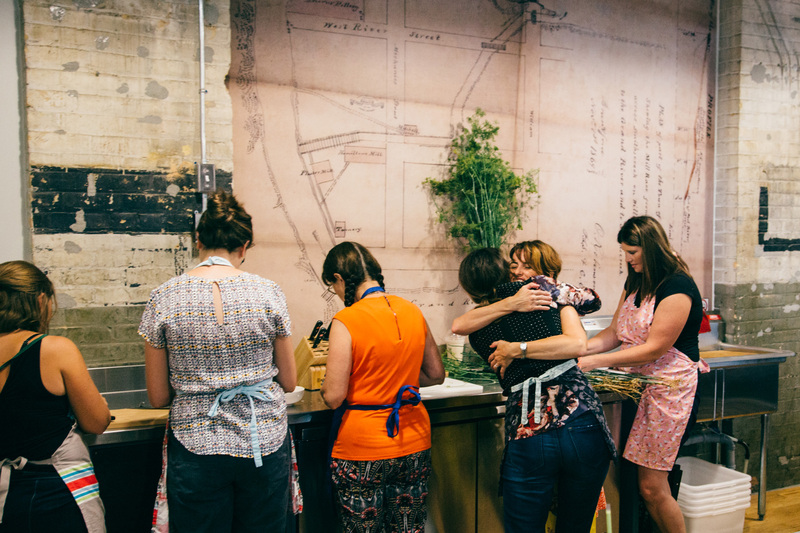 The events peripheral to the main meetings, usually organized ‘just for fun’ by a WI member, are where it’s at, whether centred around beer tasting, fundraising, community giving, a ‘Share and Spare’ group modeled on the sharing economy, or good old fashioned crafting and home economics. 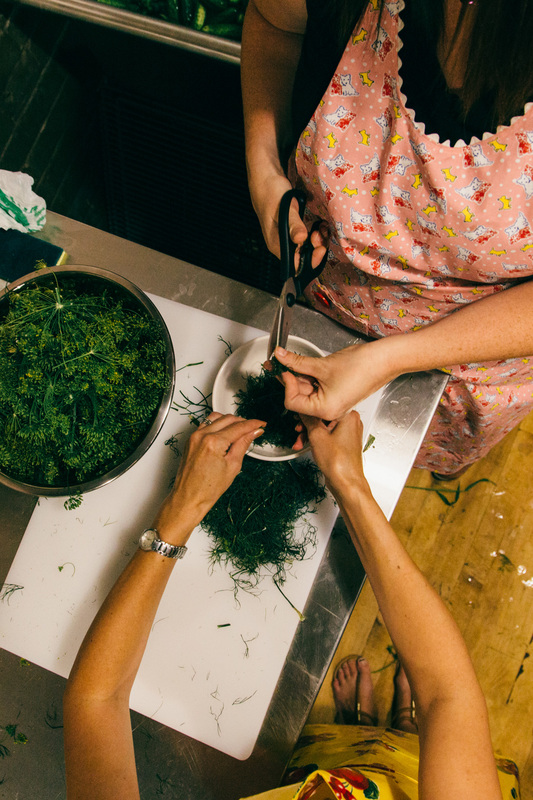 This pickling event was organized by Erika Van Stowski and Laura Elaine, both of whom have become good friends of ours. 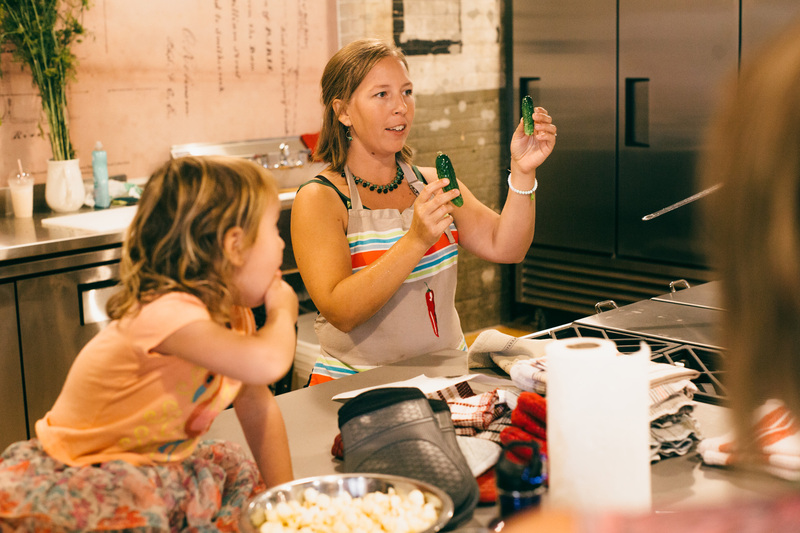 Erika has been pickling dills since 2007 and took the lead on organizing recipes, ingredients and setup. 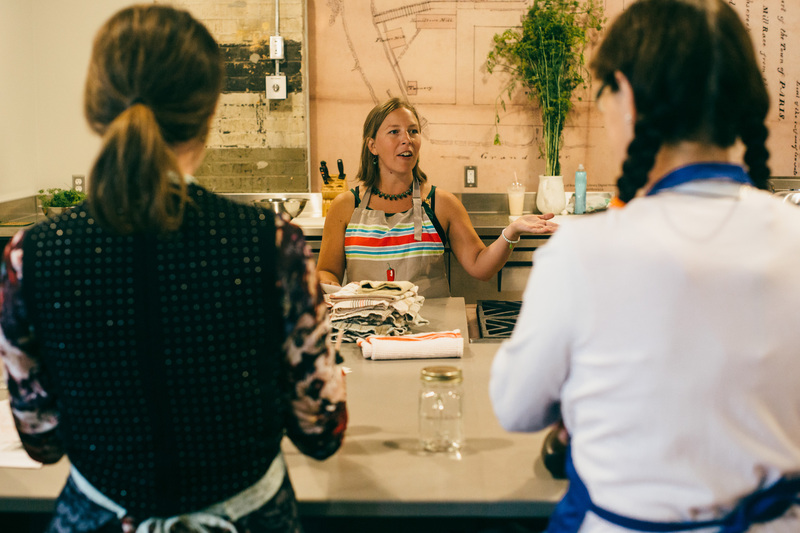 The idea to hold the event at the Wincey Mills test kitchen arose organically, a seamless integration of what both Wincey Mills intends for the kitchen and how the WI intends to use it. 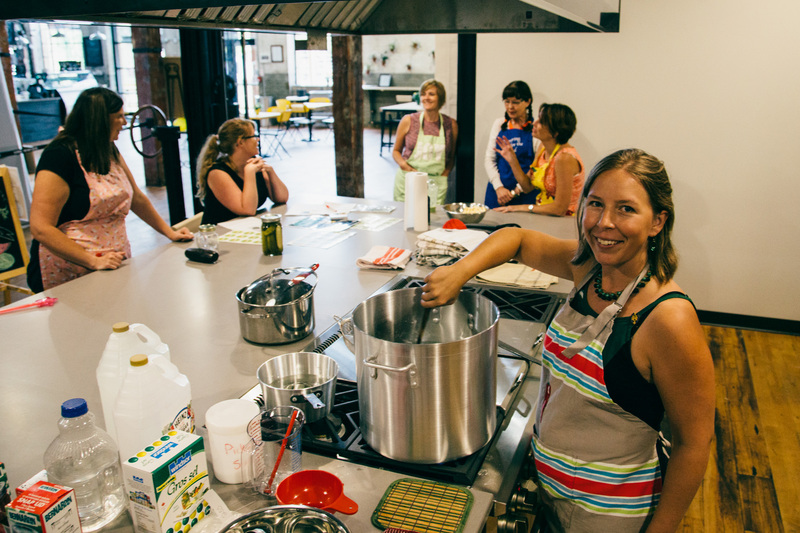 In a show of generosity the Wincey gave us the kitchen pro bono as they attempt to get the word out about their facilities. 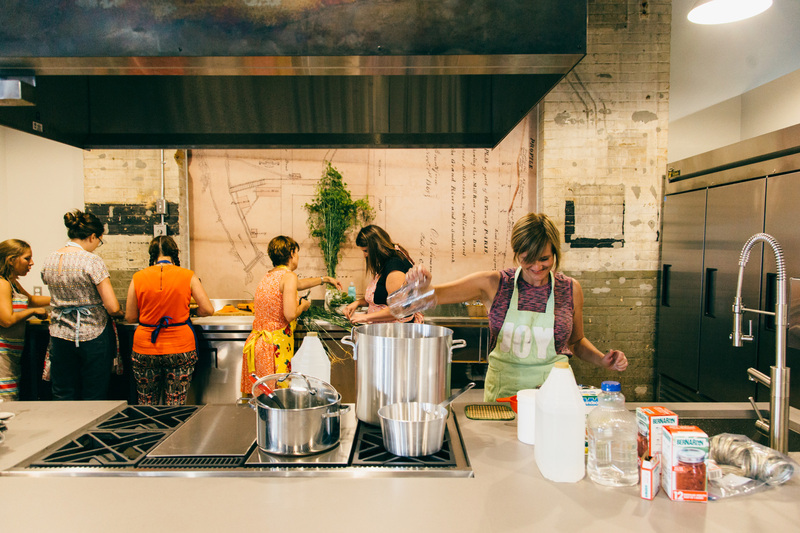 Normally, the kitchen can be rented for $120 for for hours or $200 for eight hours, a price point the Wincey hopes will attract chefs to the area. 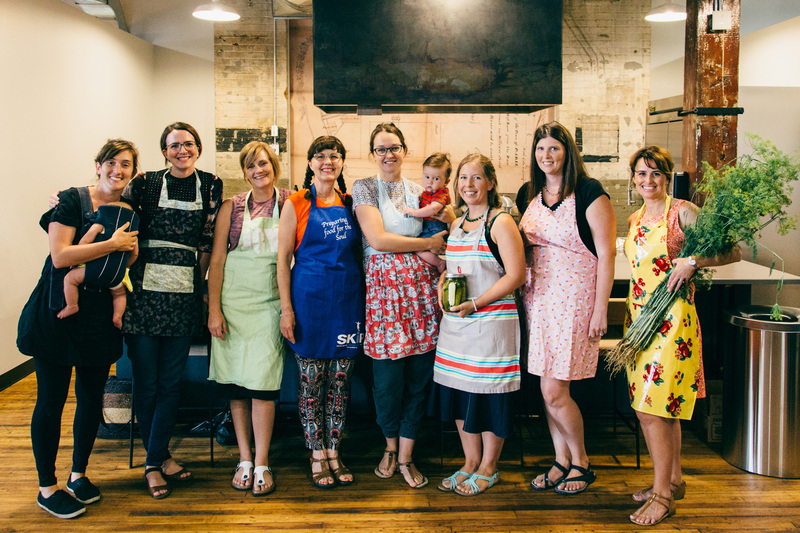 The WI ran two groups of picklers through the kitchen that night and we attended the setup with the first. We had to leave for a prearranged dinner with other friends but wish we could have stayed through to the end! 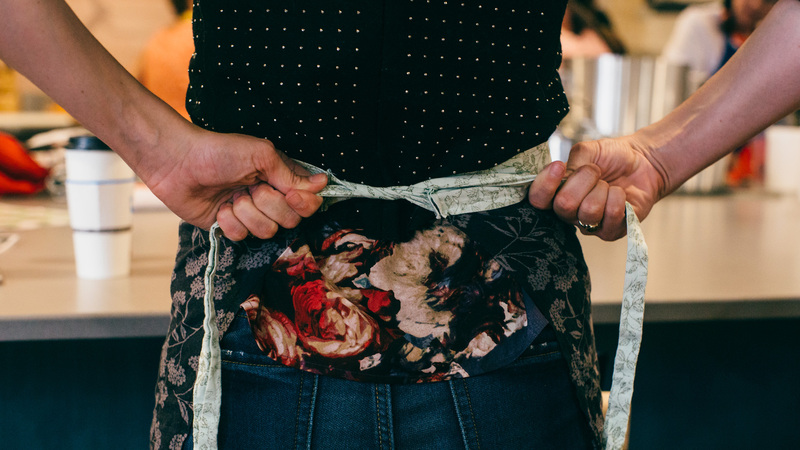 The women made for engaging and dynamic company, all dressed in aprons that had seen many meals and many kitchens (and some worn solely for this occasion and never on any others, as one gal admitted). Moo sat on the counter stuffing her face with caramel popcorn intended for the group, but no one seemed to mind. 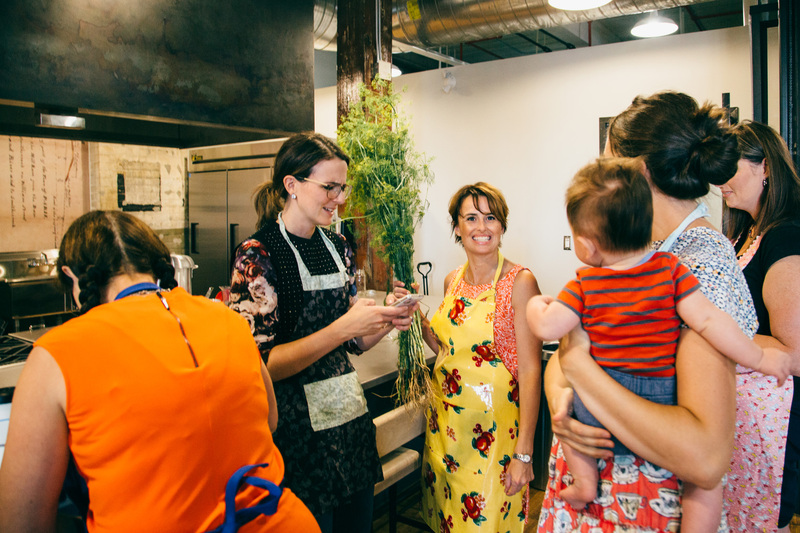 That’s one of the loveliest things about women meeting with women: a supportive group that understands how to go with the flow when it comes to balancing work and friends with kids, households and community. And you can stuff your face with caramel popcorn, no judgement. 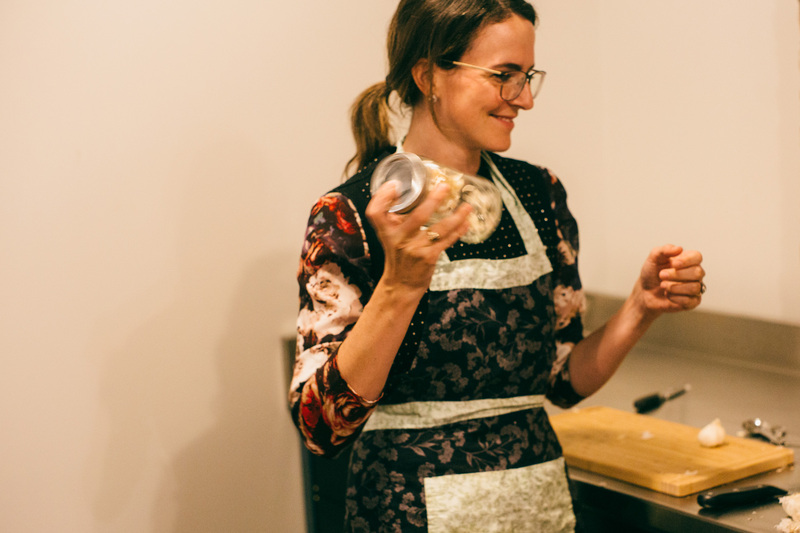 Another of our friends, Kim McCulloch, later posted on Facebook about the event bringing back memories of her own late mother, Helen, pickling dills. 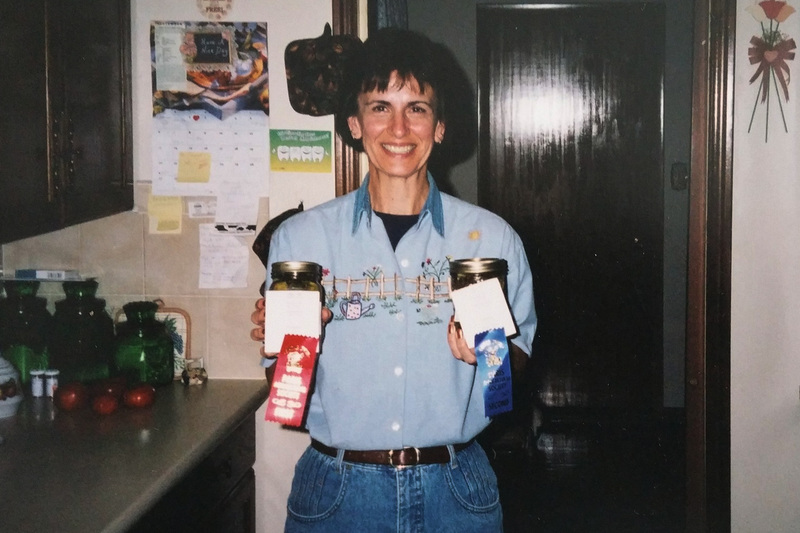 Here’s a photo with her jarred creations that won 1st and 2nd prizes at The Paris and Norfolk Fairs. The event was laid back, casual, attended by two babies and about twenty women over four hours. Conversations we shared were pretty much strictly business and pickled-related: We learned that there are different sizes of gherkins (we used sizes one and two, quartered), endless variations of recipes (we concurred that alum – which used to be used a lot as a preservative – isn’t needed, and that honey might be overkill), and varying levels of difficulty (dills are a little easier than bread ‘n’ butter pickles). 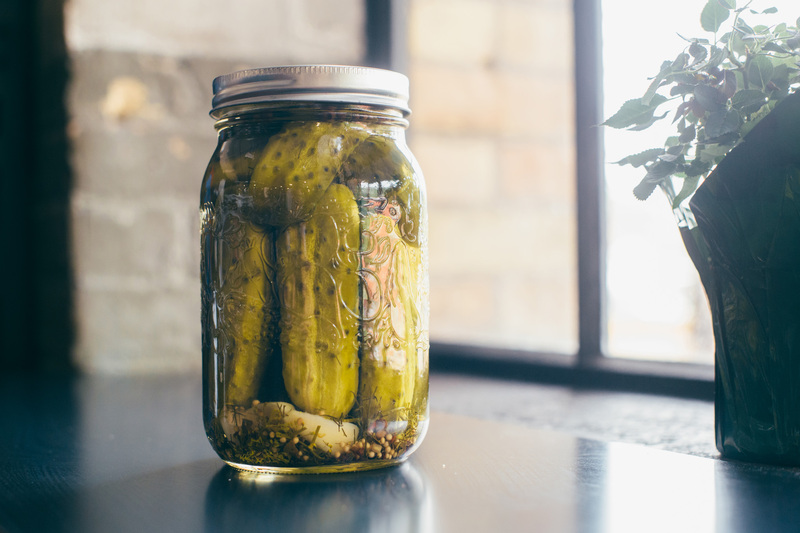 Our recipe called for curing the cukes for four to six weeks and should probably be eaten within a year. The full recipe, a gem from Erika’s husband’s Aunt Teresa (who got the recipe 25+ years ago), can be gathered from the photo below. Domestic activities rarely get the kudos and recognition they deserve. Even on our own blog, our posts about parenting or things we do at home with the kidlets generally receive less attention than the others (more egg posts, anyone?). 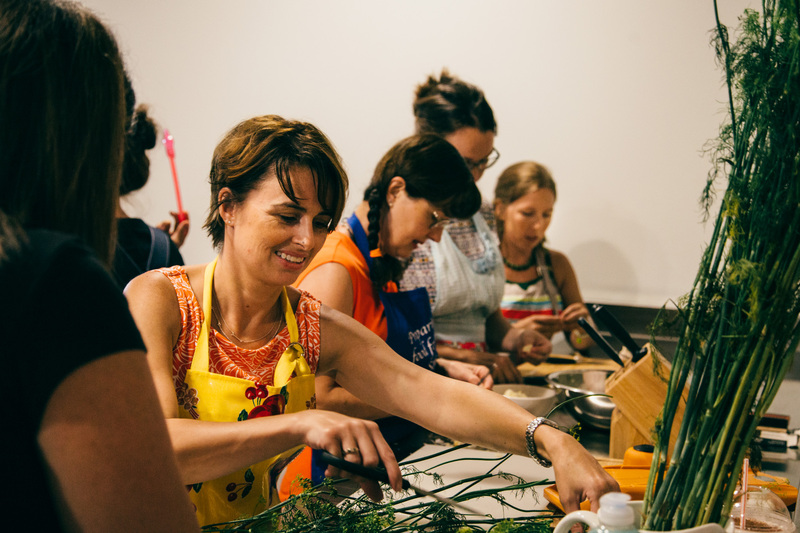 Of course our experience is anecdotal, but we wanted to appreciate the gusto and camaraderie amongst this group, a collection of spirited local women keen to facilitate friendship, learning and giving within our community. 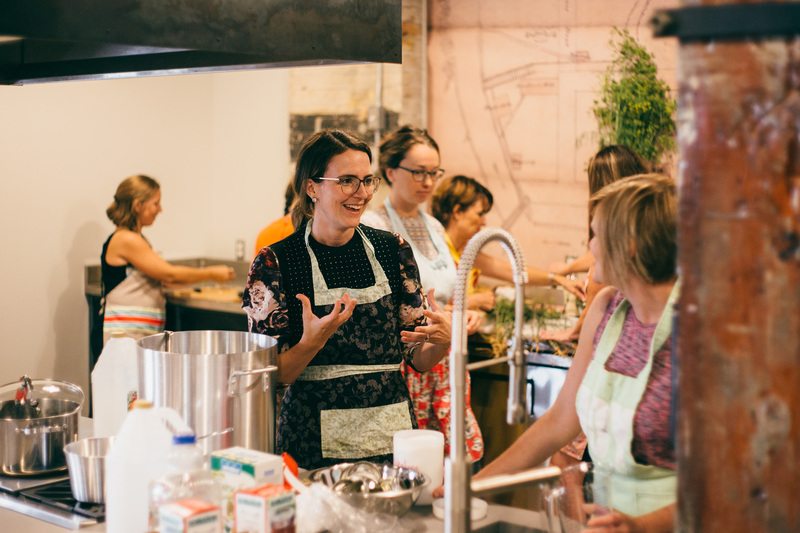 Women often do difficult, unrecognized work, so to have a dedicated time and space in town for each other is pretty special. Well done, WI. 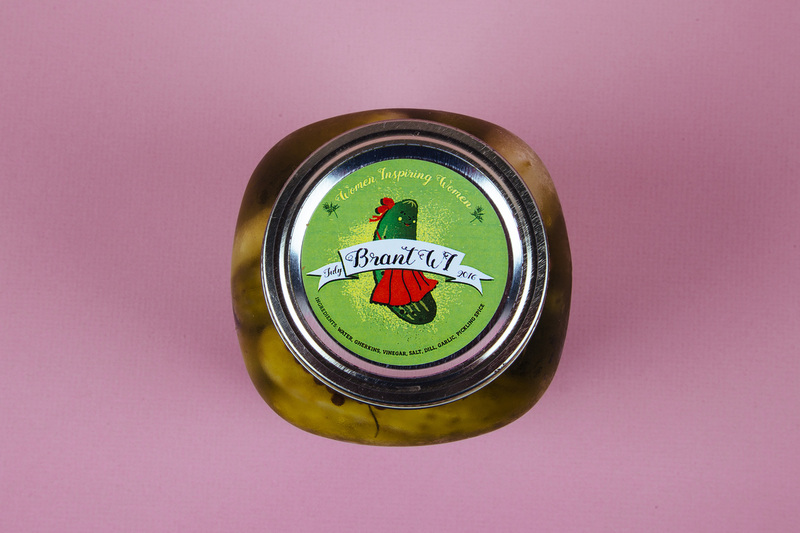 Although it’s silly, we like to think some of that strength, spontaneity and youthfulness showed up in the pickle lady illustration we made for the jar. Her influence is growing… we spotted her distant relation on the easel for the event! Perhaps there is a whole family of picked ladies just waiting to be drawn. 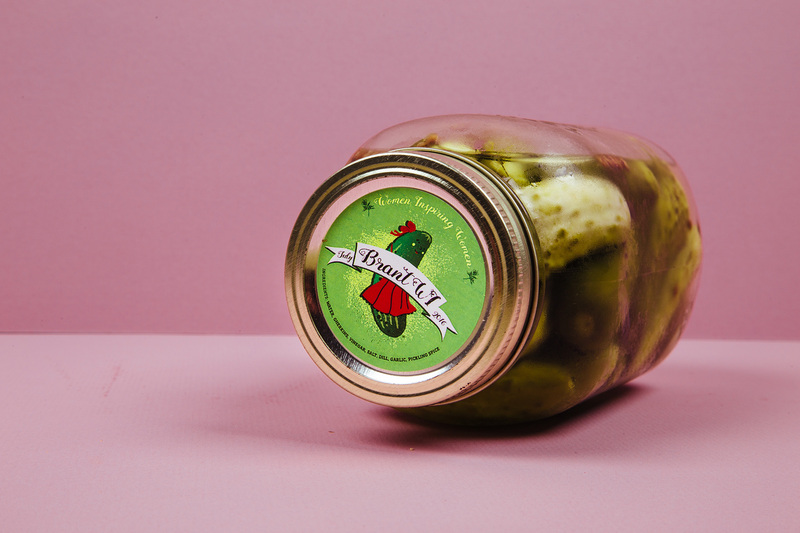 It’s certainly hard to turn down the opportunity to illustrate a pickle jar label. 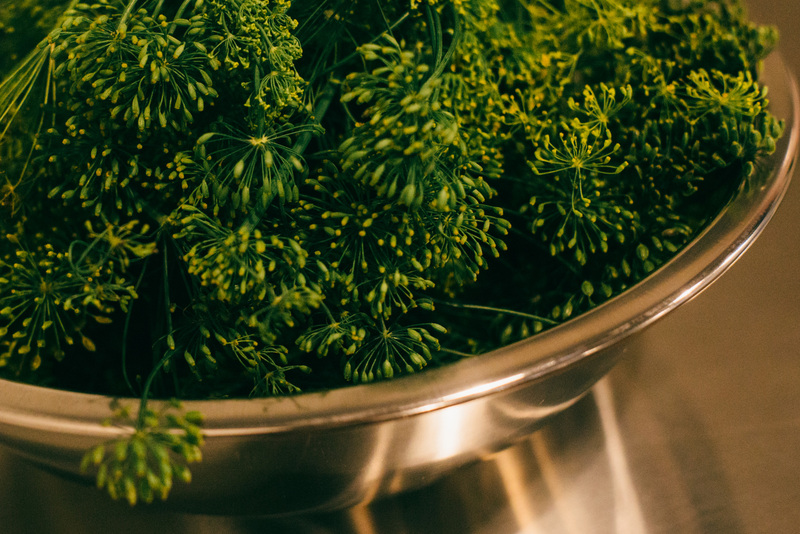 Let’s hope more pickling happens soon. 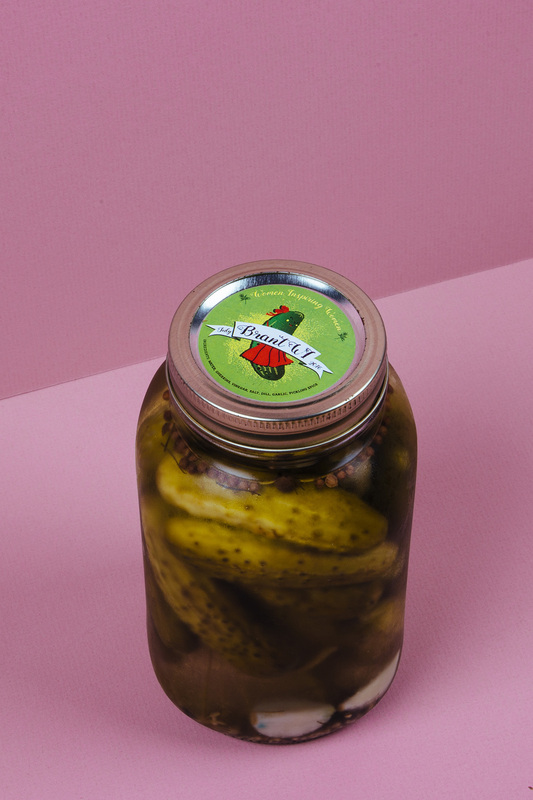 Extra pickle jars will be sold to the community and other WI members who were unable to attend the workshop. 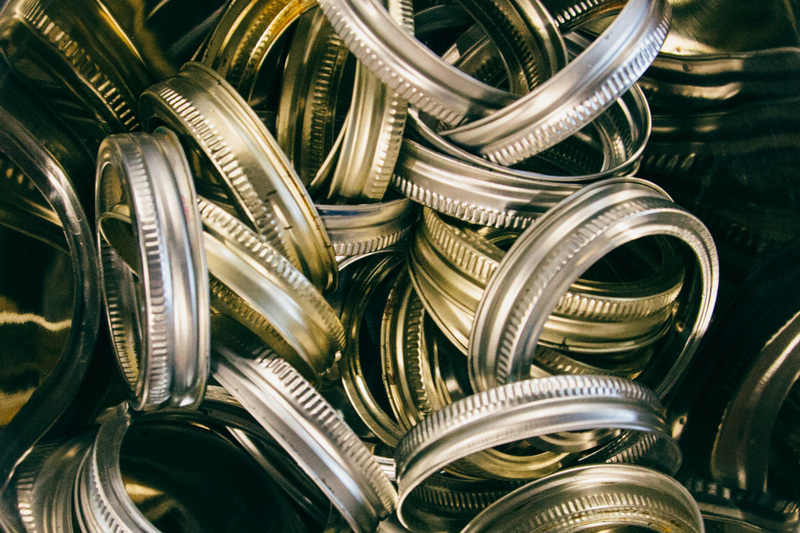 Let us know if you want to purchase a jar with one of our fancy labels! 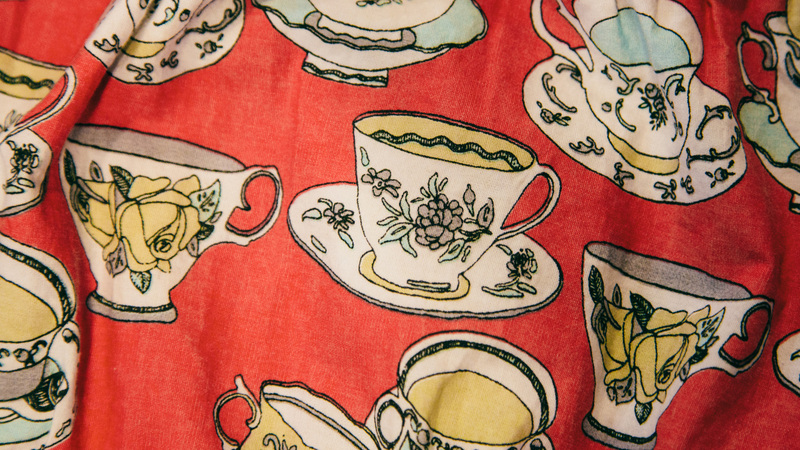 And if you’re interested in joining the WI, don’t hesitate to reach out, new faces are always welcome. 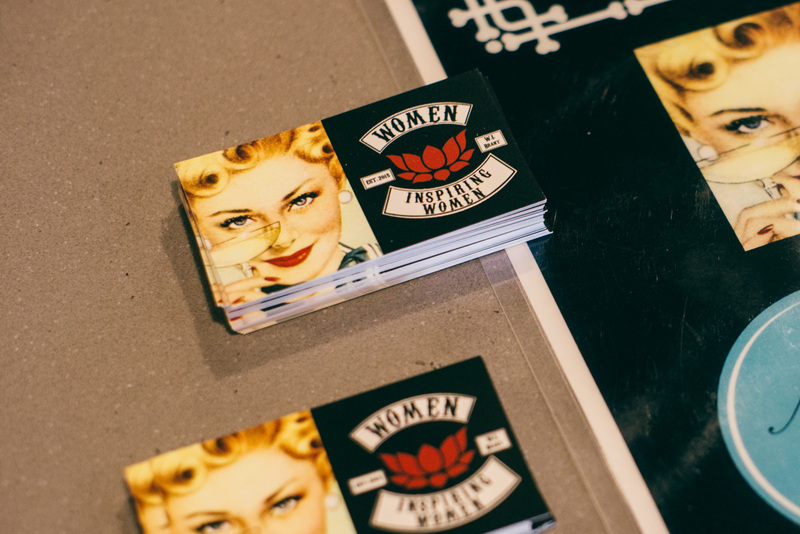 Great article about a great event and a great group ow Inspired women!